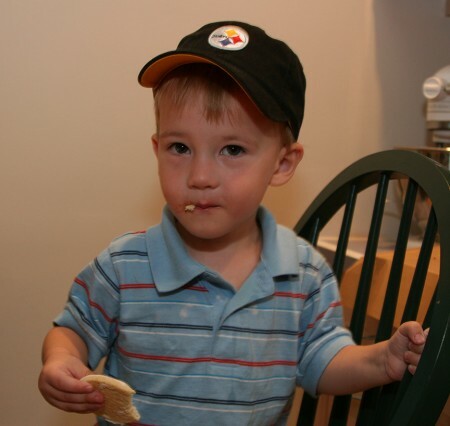 My Dad found toddler-sized Steelers hats for the boys last week and even bought a matching one for himself. My Dad wears a baseball cap whenever he is driving or outside and has an assortment of Steelers and Penguins hats. Wyatt likes to take the hats and wear them so he thought it was cool that he has one that is the same as G. He wore the hat until it was time for bed and then hung it up on the closet door until morning. 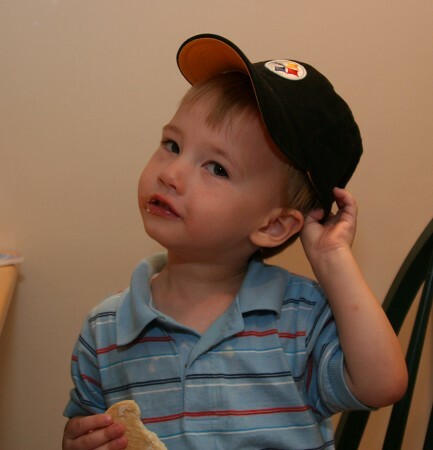 Ruslan liked his Steelers hat as well and wore it for a while. 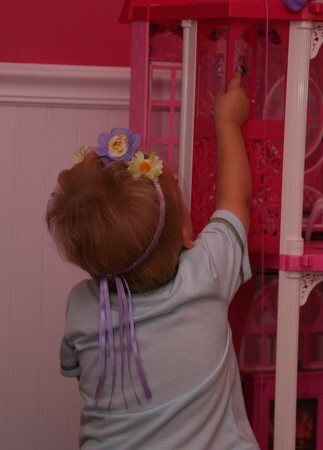 Then he went upstairs to play with Juliana and decided that the Tinkerbell option was much nicer. 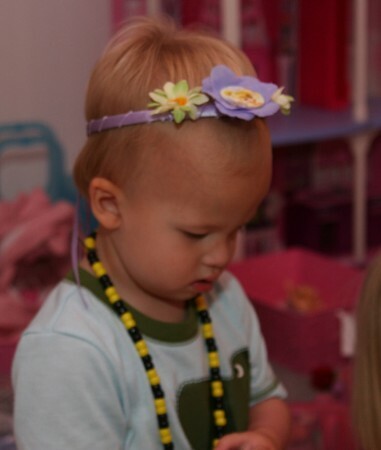 It takes a strong man to pull off the tinkerbell look. Awesome – reminded me of Will always dressing in Grace’s gowns.